Microsoft Outlook users who want send files and messages privately through email might find it very difficult to establish a secure path between themselves and the recipient. This is especially true when communicating with people who may not have access to IT staff, such as individuals, small business owners, and people who prefer mobile devices. 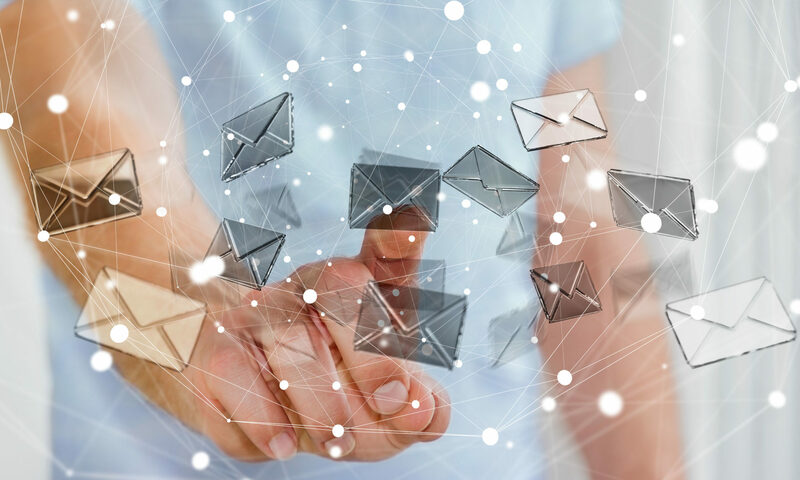 The risks to email have been widely discussed, and regulations now require certain kinds of information, such as patient health information, to be protected while in transit. Research has shown that one of the biggest reasons that people do not encrypt their email messages is that it’s difficult to implement and use. 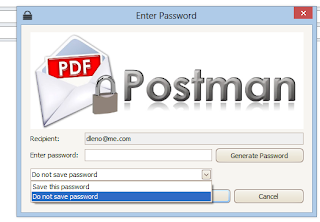 Encryptomatic LLC has responded to this challenge with PDF Postman, an add-in that brings practical mail encryption functionality to Microsoft Outlook in a way that does not place a significant burden on the recipient. PDF Postman uses strong AES-256 bit encryption, which requires the sender and receive to simply agree on a password. 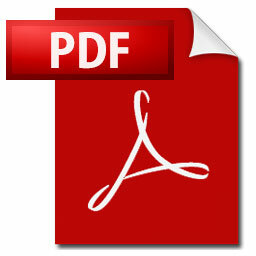 The email message and file attachments are placed in a PDF file before it is encrypted. Because the PDF specification has provided for AES encryption for many years now, most people on virtually any computing device already have access to a PDF reader capable of opening the encrypted files that PDF Postman creates. Outlook toolbar buttons for encrypting email. 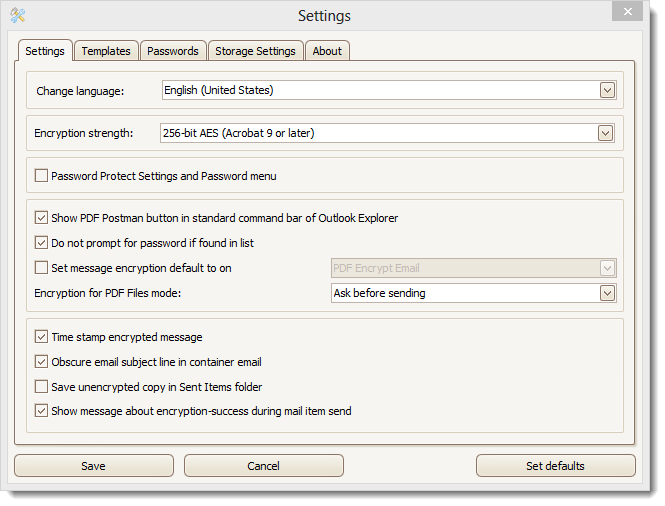 PDF Encrypt Email is the function you’ll use most most often. It will cause your email to be converted into a PDF file, and any file attachments to be embedded within the PDF file. 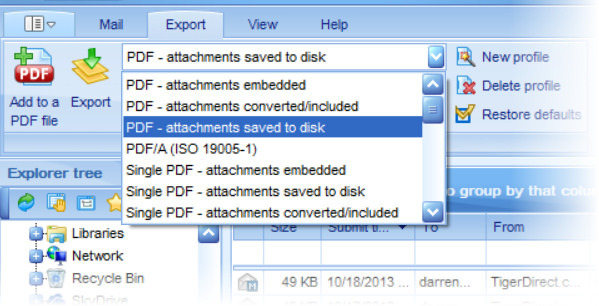 Embedded file attachments can be removed from the PDF later by the recipient, and can be edited just like a regular file. Just click “PDF Encrypt Email,” and the Send your Outlook email. PDF Encrypt Files will encrypt only the file attachments. The message will remain unencrypted. PDF Files will cause your file attachments to be converted into an unencrypted PDF file. PDF Postman maintains a database of your passwords. The first time you send a protected message to an email address, PDF Postman will check it’s database for a password. If none is found it will prompt you to enter a password, or to generate a new one using the strong password generator. This password may be stored in the database and recalled the next time you send to this email address. Stored passwords can easily be updated later. By going to the Settings tab, you can configure how PDF Postman to works. Several different languages are supported, including French, Russian, and soon German and Dutch. The standard template message can be customized. PDF Postman costs $49.99 per user, with progressive discounts for higher quantities of licenses. The price includes one year of updates and support. It will work with all of the email accounts you have setup in Microsoft Outlook. Download a free 15 day trial of PDF Postman. After the trial is complete, leave it installed; each month you can use it to send five free protected messages.